You may have heard about the gluten free diet on TV or read about it in a magazine or online. Despite what some people may think, the gluten–free diet is not another weight loss diet. The gluten–free diet is recommended by a health care provider for people who have been diagnosed with celiac disease, an autoimmune disorder that’s triggered by gluten, or with non-celiac gluten sensitivity. In these cases, a gluten–free diet must be followed to heal the body. Following a gluten–free diet can seem overwhelming at first, but it’s really not as hard as it might seem. Once you lean which foods to avoid and which foods you can eat comfortably, you’ll feel much better. Gluten is a protein complex found in the grains wheat, barley and rye. Flours made from these grains are commonly used to make foods such as breads, cereals, pasta, pizza, and baked goods. The gluten in these foods gives them the elastic texture and it helps provides the structure of the food. 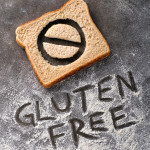 Anyone with celiac disease should follow a gluten–free diet. If your health care provider tells you that you have gluten sensitivity you should also follow a gluten-free diet. Celiac disease is an autoimmune disorder that is triggered when gluten–containing foods are eaten. An autoimmune disorder is one in which the body’s immune system attacks an organ. When a person with celiac disease eats a food with gluten in it, the immune system launches an attack against the small intestine which damages the lining of the intestine. Noticeable symptoms of celiac disease are diarrhea, abdominal (stomach) pain, unintentional weight loss, anemia, poor appetite, irregular periods, delayed growth, and delayed onset of puberty. Some teens will have almost no noticeable symptoms, but their health care provider may detect a nutritional deficiency (such as low vitamin D levels) or low bone mineral density. Gluten is harmful for someone with celiac disease. Following a gluten–free diet heals your small intestine, and usually causes your symptoms of celiac disease to go away. Following a gluten-free diet may require a lot of work at first, but after a short time, it will seem more automatic. Instead of feeling limited, you will see that there are tons of delicious (gluten-free) options for you! Gluten sensitivity, also called non-celiac gluten sensitivity or gluten intolerance, can be diagnosed if a person doesn’t have celiac disease or a wheat allergy (both of these tests are negative) but they have some similar symptoms and they feel better when they are on a gluten-free diet. While someone with gluten sensitivity will have similar symptoms as a person with celiac disease, they do not have the same intestinal damage. It’s unclear whether people with gluten sensitivity need to be as strict adhering to a gluten-free diet. There is no definitive test for gluten intolerance. I feel better when I don’t eat gluten – do I need an official diagnosis from my healthy care provider? If you think that you might have celiac disease, an allergy to wheat, or gluten intolerance, you should consult with a medical professional rather than simply starting to avoid gluten. Your health care provider will likely want to run some tests while you are still eating gluten in order to give you the best medical care. A gluten-free diet isn’t always a healthy diet. Some people who follow a gluten-free diet may not get enough of certain nutrients, vitamins, and minerals in their diet such as fiber, iron, and calcium. Also, some gluten-free products can be high in calories and sugar. If you are diagnosed with celiac disease, it’s best to meet with a nutritionist to develop a healthy, balanced meal plan and to identify if any vitamin or mineral supplements are necessary. It is not suggested that people follow a gluten-free diet if not medically necessary. There are many hidden sources of gluten both in food and non-food products. Gluten could be in foods that you wouldn’t expect–such as candy, sauces, soups, and marinades. Be sure to check products such as toothpaste, mouthwash, lipstick/gloss, glues, supplements, vitamins, and both prescription and over the counter medications. These potential sources of gluten are frequently overlooked. Soaps, Shampoos, and Lotions: Many of these products contain wheat or oats. While gluten cannot be absorbed through the skin, it is important to be aware of this – especially if you have a habit of biting your finger nails or touching food after putting on lotion. Envelopes: Envelopes may have a gluten-containing adhesive. You should use self-adhesive envelopes or use a sponge to wet the adhesive kind. Where can I find gluten–free recipes? The best resources for gluten-free recipes are the internet and gluten–free cookbooks. The GI department at Children’s Hospital Boston is a wonderful resource for families, and has great recipes as well as cookbook suggestions. Should I take a vitamin or supplement? Talk with your health care provider or nutritionist about vitamin and mineral supplements. Some people who follow a gluten-free diet may not get enough of certain nutrients, vitamins, and minerals in their diet such as fiber, iron, and calcium. It’s important to meet with a nutritionist to develop a healthy, balanced diet and to find out if you need to take any vitamin or mineral supplements. Remember, no amount of gluten is “safe.” If your health care provider or nutritionist has told you to follow a gluten-free diet to treat celiac disease or gluten intolerance, it’s important to keep completely gluten-free. This will prevent the immune reaction that gluten causes, and will allow your small intestine to heal and stay healthy. Even a little bit of gluten can harm your intestine and cause an upset stomach.